Pakistan suffered 138 fatal and 155 non-fatal casualties in retaliatory cross-border firings along the LoC in 2017. According to official figures, 860 incidents of ceasefire violations by Pakistani troops were reported in 2017 as against 221 the year before. New Delhi: The Indian army killed 138 Pakistani army personnel in 2017 in tactical operations and retaliatory cross-border firings along the Line of Control (LoC) in Jammu and Kashmir, government intelligence sources said today. Indian army lost 28 soldiers during the same period along the LoC, the sources said. According to the sources, Pakistani army seldom acknowledge the death of its personnel and count them as civilian casualties in certain cases. It seems the Pakistan army has a policy of not acknowledging the killing of its personnel, the sources said. They also referred to the Kargil war when Pakistan had declined to accept casualties despite proof given by India. The sources also cited a December 25 incident when a group of five army commandos crossed the LoC in Jammu and Kashmir and killed three Pakistani soldiers. The Pakistani army had posted a tweet that day acknowledging the deaths but later deleted it. Two days later, Pakistan army's spokesperson rejected reports that Indian commandos selectively targeted a post across the LoC and killed three of its soldiers. 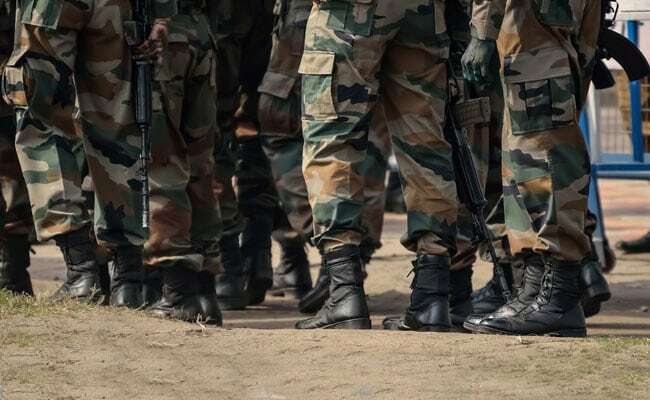 The Indian army has been adopting an increasingly "tough" approach in dealing with ceasefire violations and terrorist activities in Jammu and Kashmir in the last one year. Pakistan suffered 138 fatal and 155 non-fatal casualties in tactical operations and retaliatory cross-border firings along the LoC in 2017, the intelligence source told news agency PTI. 70 Indian army personnel were injured during cross border firings and other incidents. Asked about the fatalities on the Pakistani side, the army refused comment. However, army spokesperson Col. Aman Anand said India has been effectively retaliating against all ceasefire violations by Pakistan and will continue to do so. According to official figures, 860 incidents of ceasefire violations by Pakistani troops were reported in 2017 as against 221 the year before. The intelligence sources said India has killed 27 Pakistani soldiers in sniper firing last year while seven of its soldiers lost their lives in Pakistani sniper firing along the LoC. As part of its policy of "hot pursuit", the Indian army has been carrying out tactical operations to foil Pakistan's support to terrorists. In May last year, Indian army said it had launched "punitive fire assaults" on Pakistani positions across the LoC, inflicting "some damage", days after two Indian army personnel were beheaded.